A professor of chemical engineering at CMU designed open source software that streamlines the process of incorporating data in scientific papers. A professor of chemical engineering at Carnegie Mellon University (CMU) has developed open source software that seeks to improve data sharing in research and academia. The infographic notes the key features of Scimax, an open source software that easily incorporates data in scientific papers. Source: Kitchin Research Group. John Kitchin created Scimax to alleviate the frustration he felt working with “clunky word processing and text editing software to write scientific papers,” reports a CMU news release. The software integrates data processing and analysis directly into plain text, allowing writers to embed data, code, figures, equations, tables and citations in their work, according to the Scimax website. 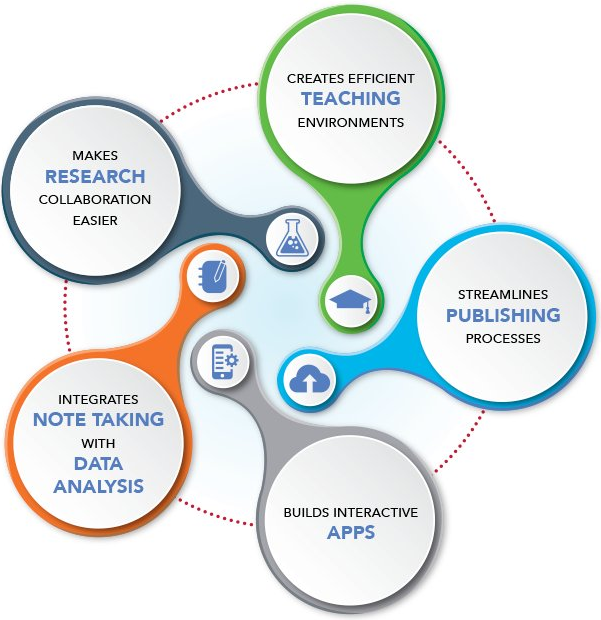 It eliminates the need to use multiple applications — such as word processors, reference managers and data and analysis plotting programs — in drafting research papers. Furthermore, Scimax can be used by researchers without coding experience, according to Kitchin. Further information about Scimax is available on the Kitchen Research Group site.